Decorate your PS4/PS4 Pro/PS4 Slim with this high quality vinyl adhesive showing vibrant tropical plants and flowers. 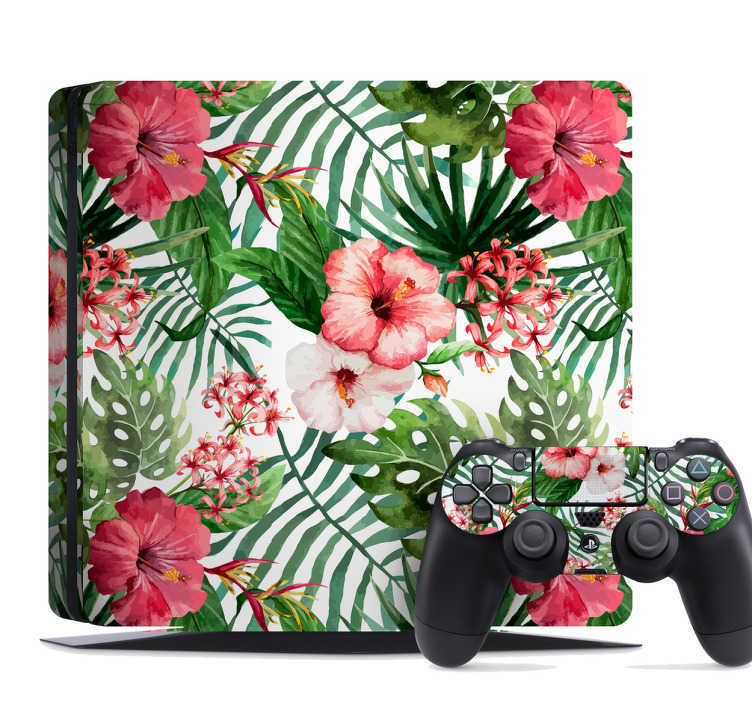 Add a tropical touch to your gaming experience by wrapping your PS4 in this jungle themed decal. Option to customise your controllers as well with the same aesthetic. Don't worry, these stickers are easy to apply and are made with anti-bubble so you won't have any trouble there, just choose the size you need and follow the instructions provided.